Buffalo Marriott Niagara in Amherst offers a productive and rejuvenating experience for business and leisure travelers headed to New York. Arrive with ease from Buffalo Niagara International Airport courtesy of our free shuttle service. Once you've unpacked, explore the cities of Buffalo and Niagara Falls along with University at Buffalo and Boulevard Mall. Enjoy comfort in all of our rooms and suites with complimentary Wi-Fi, luxurious bedding and flat-screen TVs. Combat hunger by utilizing room service and dining at BlueFire Bar & Grille, serving American cuisine for breakfast, lunch and dinner. Our restaurant is open late for your convenience. 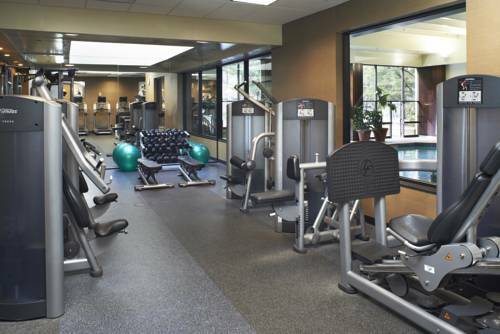 Maintain your regular workout routine at our fitness center and indoor/outdoor connecting pool. When it comes to your professional or social event needs, our customizable meeting spaces feature professional planning and catering services to create the perfect recipe for success. From check-in to check-out, savor a memorable stay at Buffalo Marriott Niagara.